The service life for high quality power supplies and automotive power electronics is often limited by electrolytic capacitors’ operational life (Lop). Very long life (> 20 years at temperature up to 75C) is possible to be achieved by choosing capacitors with optimized design. Type of electrolyte, capacitors lid design, sealing method and rubber material quality, are important factors which determine the Lop. Ceramic capacitors have a multitude of dielectric types available and each of these types is characterized by their sensitivities to temparature, but not to voltage or time. 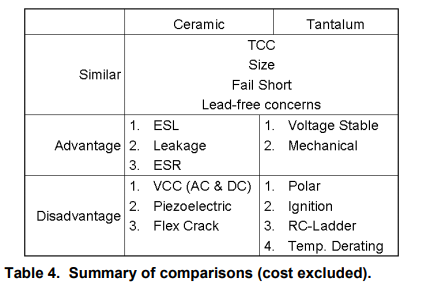 This paper compares the X7R, X6S, or X5R dielectric types of ceramic capacitors with tantalum capacitors. Ceramic capacitors constructed witht these dielectrics offer moderate dielectric constants with moderate temperature and voltage sensitivities. They overlap with tantalum capacitors in capacitance/voltage range offerings. 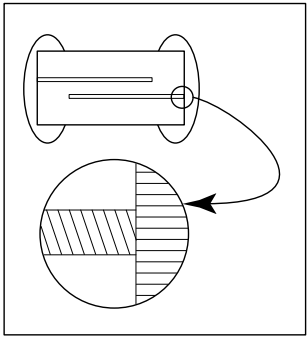 In many cases, the solder pad geometry allows swapping of ceramic 0603. 0805, 1206 or 1210 chip sizes with “J”, “R”, “A”, or “B” case tantalums, respectively. Capacitors are underrated. They do not have transistor counts in the billions nor do they use the latest submicron fabrication technology. In the minds of many engineers, a capacitor is simply two conductors separated by a dielectric. In short, they are one of the lowliest electronic components. It is common for engineers to add a few capacitors to solve noise problems. This is because capacitors are widely seen by engineers as a panacea for solving noise related issues. Other than the capacitance and voltage rating, little thought is given to any other parameter. However, like all electronic components, capacitors are not perfect and possess parasitic resistance, inductance, capacitance variation over temperature and voltage bias, and other nonideal properties. These factors must be considered when selecting a capacitor for many bypassing applications or where the actual value of the capacitor is important. Choosing the wrong capacitor can lead to circuit instability, excessive noise or power dissipation, shortened product life, or unpredictable circuit behavior. There has been an explosion of interest in the use of ceramic capacitors for high frequency power conversion applications. This interest is compounded with new designs striving for higher frequencies, smaller sizes and greater efficiencies. This application is an ongoing and mutual development of ceramic values, processes and sizes that were never realized prior to this application. In more and more cases, the ceramic capacitor is dictated by performance requirements never attainable in the previous styles of electrolytic and tantalum. 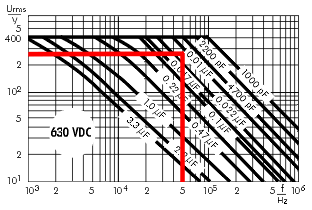 The maximum permissible AC voltage that can be applied to capacitors in sinusoidal waveform applications, can be determined from the graphs in the respective capacitor ranges. 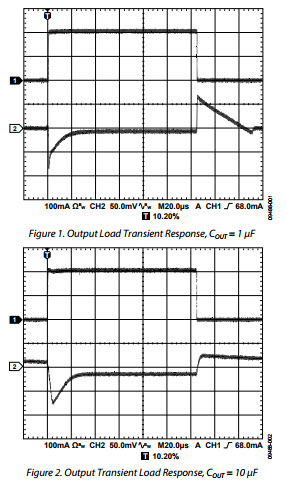 Voltage multipliers can generate very high voltages due to an inverter circuit that feeds a step-up transformer, which is connected to the multiplier circuit. An example of a typical voltage multiplier, which is simply a circuit comprised of capacitors and diodes that charge and discharge in alternating half cycles of the applied AC voltage. Applications for voltage multipliers include flyback converters, where a high voltage is produced from a low battery or supply voltage in medical X-ray systems, air ionizers, and oscilloscopes, and instrumentation requiring a high-voltage power supply. When a high voltage potential is applied at > 1000 V, an arc-over between the terminals, or from terminal to case will occur. 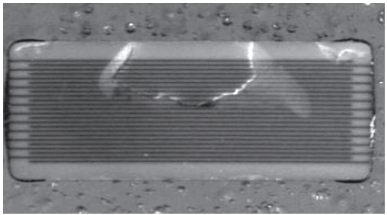 To eliminate any arc-over, an overcoating can be applied to the board, or additional board layout spacing can be added to isolate the high-voltage section from other sections of the board. 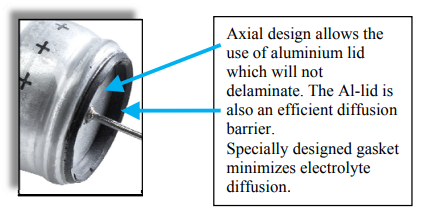 Although coatings add cost to the process and the design, they are required in some applications to meet electrical safety standards. To help reducing emission and increasing the immunity of radio interference, electromagnetic interference suppression film capacitors (EMI capacitors) are playing a major role in all kind of applications. These capacitors are put directly parallel over the mains at the input of the appliances. Because of the high energy availability and the severe environment of surge voltages and pulses, applications of capacitors in connection with the mains must be chosen carefully. Two kinds of connections and thus two kinds of applications can be distinguished. 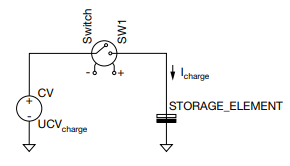 One is where the capacitor is directly connected in parallel with the mains without any other impedance or circuit protection, and another where the capacitor is connected to the mains in series with another circuitry.